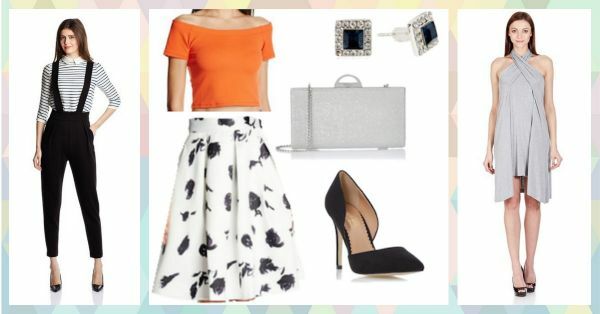 3 Super Cute Outfits For Work, Play And Party! Cherry Jain, Video Coordinator Chic outfits scream street style. Basics separates can create unique-yet-trendy looks. 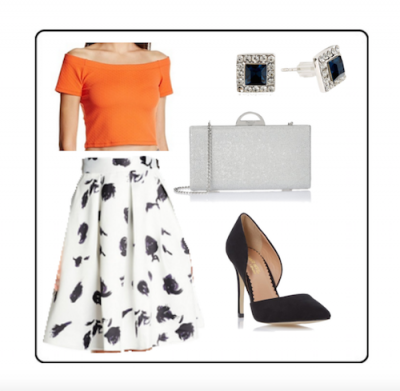 I’ve created a look which allows me to look chic from office hours to happy hours. I have opted for chino pants with suspenders with a basic striped top. This look is super stylish for casual as well as formal wear. 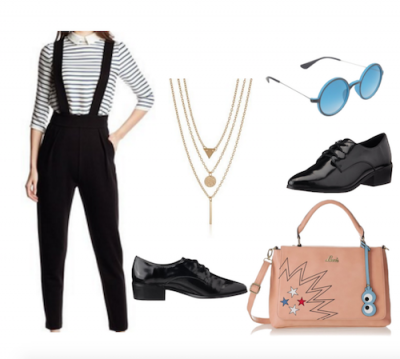 For the day look, this outfit works well with a pair of sunglasses and a quirky bag. And for the evening, I can go with a stacked neckpiece and of course, formal shoes which completes the look. Snigdha Chowdhary, Account Manager I picked a floral, pleated skirt as the cut makes it feminine and makes my waist look smaller. I have paired it with a bright orange off-shoulder top, as the colour stands out against a monochrome outfit. To keep the rest of the look simple, I paired it with simple black pumps and a silver clutch. The earrings I have chosen are simple and classy and complete the look.